If you have a garage at your house we wholly recommend regular checks of the door and suggest hiring a professional for scheduled maintenance and adjustment appointments. The moving parts of the system require regular lubrication, without this they will wear quicker than necessary. 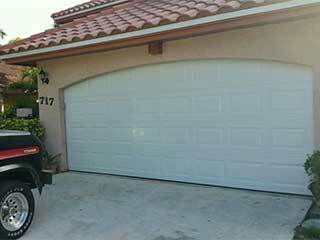 If you are not sure what to do, call our experts at Garage Door Repair Escondido to inspect your unit and its various parts. While visiting your property for an inspection our experts will also look for any loose parts, like screws and tighten any as necessary. Can I Perform Maintenance Myself? There are some things you can do as a home owner to assist with the maintenance of your door. You can certainly lubricate moving parts yourself like the tracks and chain drive to keep your door healthy. If you have a vinyl garage door then you're in luck as these require little to no maintenance however if you have a steel door, it's important to keep it rust free – you should ensure that any rust is removed before it spreads. A wood door might also need re-painting depending on how the weather has behaved recently. You can also perform a visual check of your safety sensors, and ensure thereis no significant dust or dirt likely to affect their performance. At some point, you will require an expert for preventative maintenance as simply, trained professionals know what to look for and can get to the parts that are more difficult for a lay person. For example, your springs and your opener motor can be very dangerous to handle as an untrained individual, we recommend calling a professional at least once every 6 months. We can help you with any maintenance needs you may have. From the cables and tracks, to panels and springs, we can help you. Remember, regular maintenance is the key to having fewer problems with your door in the future and having our certified contractor help you with this maintenance is a smart move. Call us and let us show you why we come recommended in Escondido!